Mono Studio 1/2 person: Ideal for 1 person and no more of 2 persons. Mono Studio apartment with a double bed, equipped kitchen corner with refrigeretor , TV, air conditioning on request, safe, mosquito nets, private bathroom with shower. Although compact this accommodation also has a comfortable covered veranda furnished with table and chairs for outdoor dining. See floor plan for Mono Studio! Mono Standard 2/3: Ideal for 2 persons, no more of 3 persons. This apartment with one double bed and one single bed, private bathroom with shower, equipped kitchen corner with refrigerator, TV, air conditioning on request, safe, mosquito nets and furnished veranda. Excellent for couples who love comfort or for small families. See floor plan for Mono Standard! Bilo*3 : Ideal for 3 persons. This accommodation has a bedroom with one double bed and one single bed, private bathroom with shower, equipped kitchen corner, refrigerator, TV, air conditioning on request, safe, mosquito nets, furnished veranda on which to relax and enjoy the garden. An ideal choice for a couple with one child or for three friends. Bilo*4: Ideal for 3, and no more of 4 persons. This consists of one bedroom with double bed, a single bed or a bunk beds in the living area, bathroom with shower, kitchen with fridge-freezer, TV, air conditioning on request, safe, mosquito nets and a furnished veranda for outdoor living. This apartment is ideal for a family with two children or for three adults. See floor plan for Bilo*4! Trilo*3 : Excellent for small families. 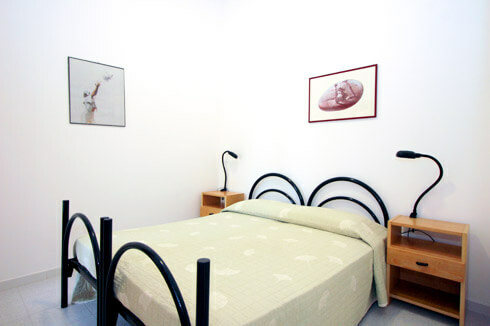 This type of apartment includes two bedroom, one with a double bed and one with a single bed. Private bathroom with shower, equipped kitchen corner with refrigerator, TV, air conditioning on request, safe, mosquito nets and furnished veranda, an outdoor space to enjoy. See floor plan for Trilo*3! 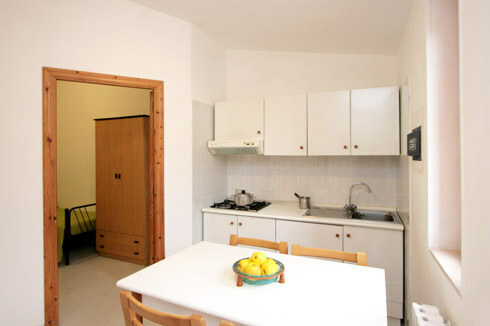 Trilo*4: This apartment includes two bedroom, one with a double bed and one with two single beds. Private bathroom with shower, kitchen with fridge-freezer, TV, air conditioning on request, safe, mosquito nets and a veranda. This comfortable apartment is ideal for a family with two children . See floor plan for Trilo*4! Trilo*4 with a single room: This apartment includes two bedroom. The first is with a double bed and one single bed and onother camera is with one single bed. Private bathroom with shower, kitchen with fridge-freezer, TV, air conditioning on request, safe, mosquito nets and a veranda. This comfortable apartment is ideal for a family with two children . See floor plan for Trilo*4 with single room! Trilo*5: This type of apartment includes two bedroom, one with a double bed and a single bed, and another bedroom with two single beds. Private bathroom with shower, kitchen with fridge-freezer, TV, air conditioning on request, safe, mosquito nets and a comfortable furnished veranda for dining. The right choice for 4 or 5 persons, the apartment can also be made suitable for 2 couples. See floor plan for Trilo*5!